The Mountain Equipment Mens Lightline Jacket is a lightweight down filled insulated jacket with a zip-off hood and a highly water resistant outer fabric, ideal for winter mountain use and freezing conditions. The Lightline Jacket is designed to be lightweight and warm, providing the functionality you need to perform in the coldest of conditions. 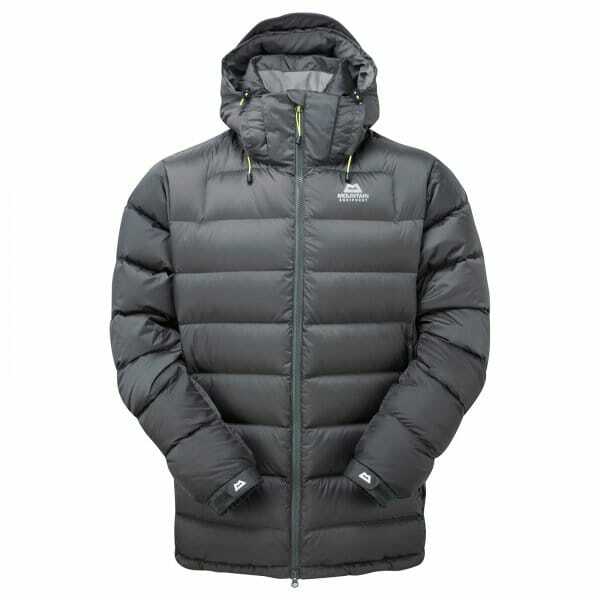 Insulated with high quality 90/10 Pure Down with a fill power of 700, the jacket provides superior insulation with an excellent warmth-to-weight ratio. The jacket uses Drilite Loft outer fabric, a fabric which is completely windproof and highly water resistant. A Stitched-through construction is used throughout ensuring excellent loft and warmth in a lightweight design. The hood is fully adjustable and can be zipped off when not needed. Other features of the jacket include two zipped hand warmer pockets with insulated flaps, a zipped inner security pockets, adjustable cuffs and hem drawcords. Drilite Loft is a very lightweight, breathable and highly water resistant fabric. A PU coating on the fabric provides a hydrostatic head rating of 1500mm. This coating is applied to an abrasion resistant face fabric, which is also treated with a DWR (Durable Water Repellency) finish.